Peanut is a dribbler! We have tried several types of bibs but all have either been too big for her little neck or the dribble has soaked straight through the material and got her clothes wet anyway. So when we were invited to try out a selection of bibs from Funky Giraffe we were hoping these would solve our problem. 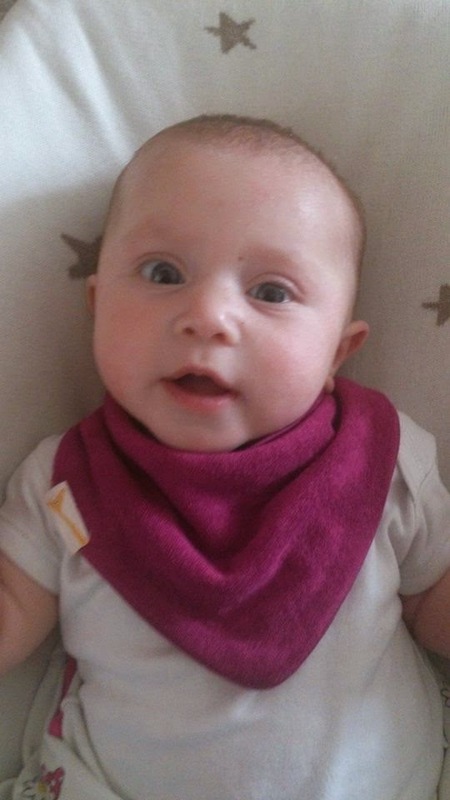 I chose a selection of bibs from the Funky Giraffe website. There is so much variety on the website including 100% cotton bandana bibs, 100% cotton square bibs (for more coverage) or even bamboo bibs! 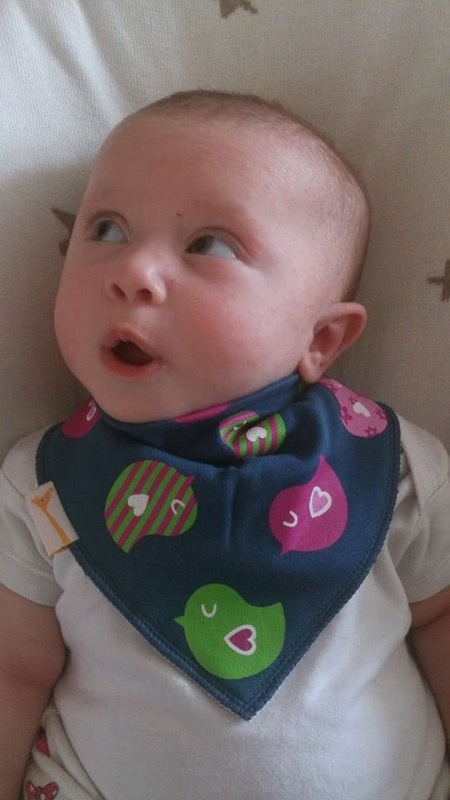 When we received the bibs I straight away noticed the vibrant colours and cute quirky designs on the bibs. I also noticed that all except the bamboo bib has poppers to fasten then (big thumbs up as these are less easy for baby to pull off)! 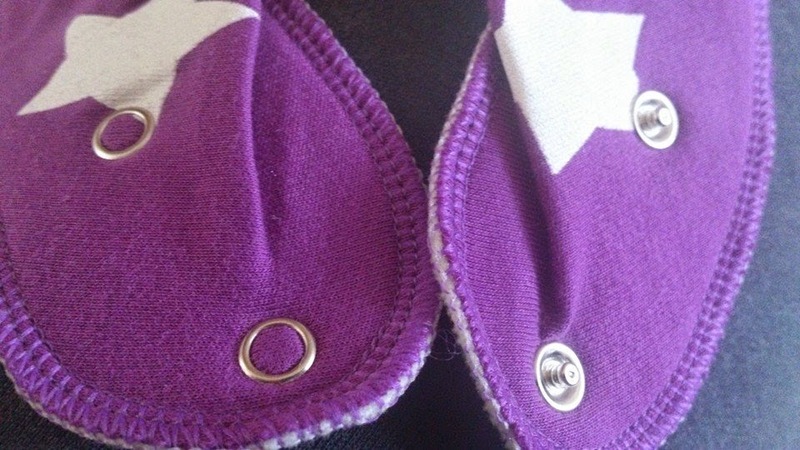 The bibs have 2 popper fastening settings which solved our problem straight away of the bibs being to big! It meant they were tight enough around her to catch any milky dribble before it ran onto her clothes! Blue funky chicks bandana bib. 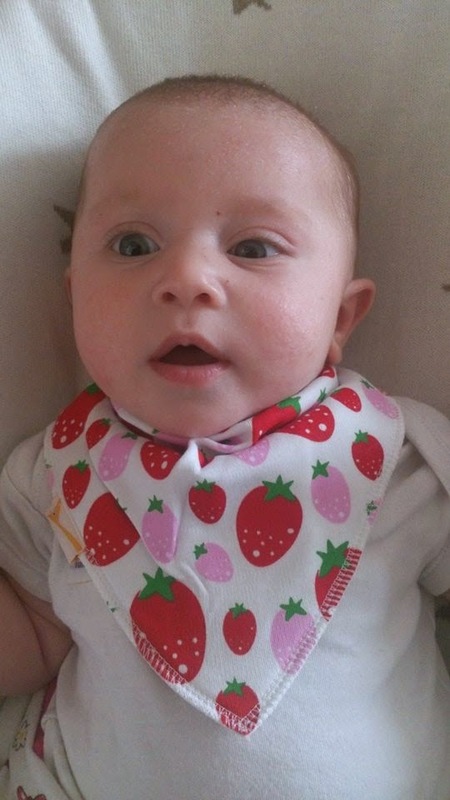 White summer strawberry bandana bib. 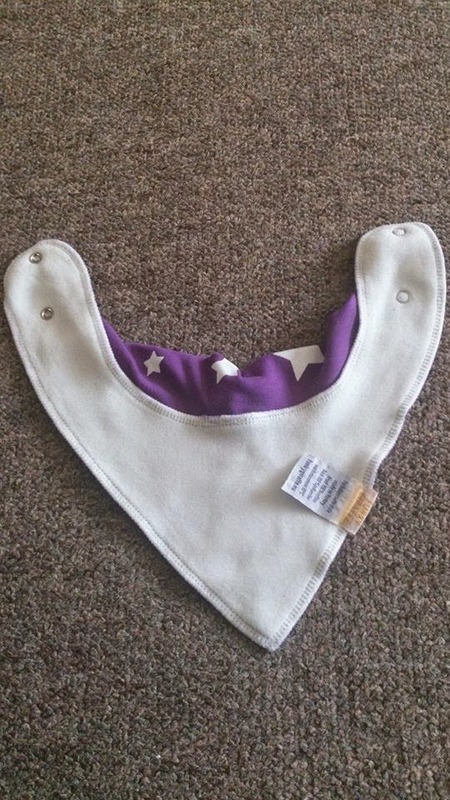 Purple and white stars bandana bib. 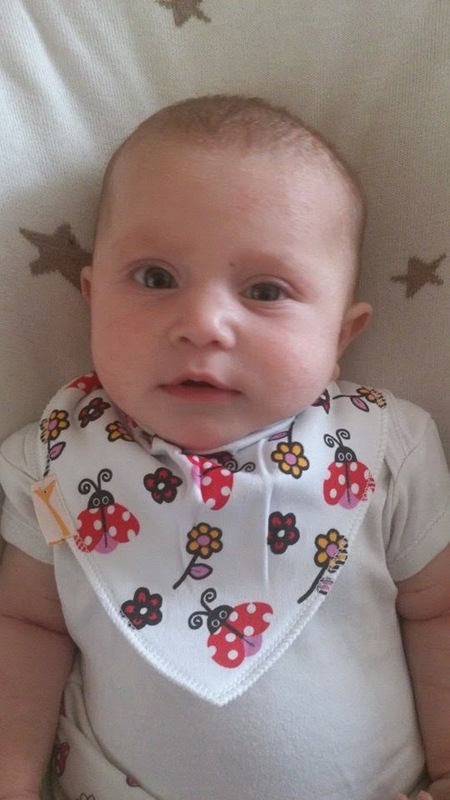 White ladybirds and flowers bandana bib. The bibs are 100% cotton on the front and feels soft to the touch, The fleece backing keeps dribble from soaking through and really does work! Despite lots of milky dribble her clothes remained dry all day. I have washed these several times and the design and colour hasn't faded at all and they still feel just as soft as they were new! 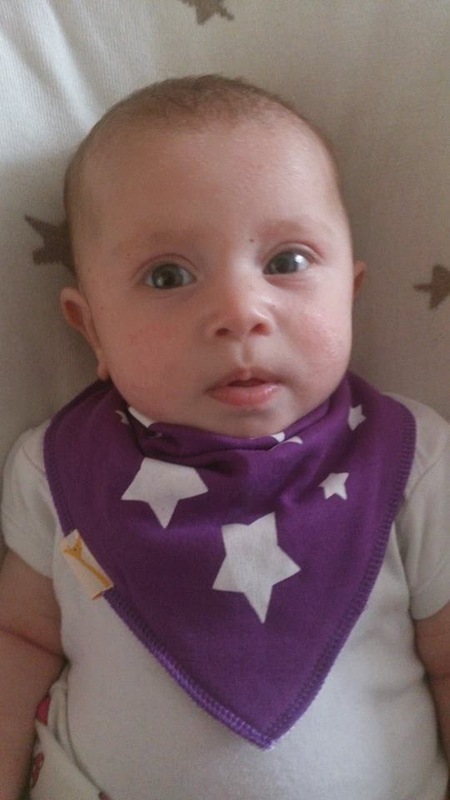 These bibs start as prices around £4 per bib but the more you buy the cheaper they are! You can get 5 for £11.25 or 10 for £20!! Making them just £2 per bib if you purchase 10 which is a great price for something that looks stylish, really works and will last ages as the 2 popper fastenings mean they will fit your babies as they grow! They now also offered personalised bibs so you can add your own text to the bib! Perhaps a name or date or birth which would make a lovely gift for a new baby. Funky Giraffe have so many great designs you can check them out out their website here - www.funkygiraffebibs.co.uk. She looks so cute. We loved the Funky Giraffe bibs when our daughter was small too. The designs are so cute and I love them on your baby, they look adorable.